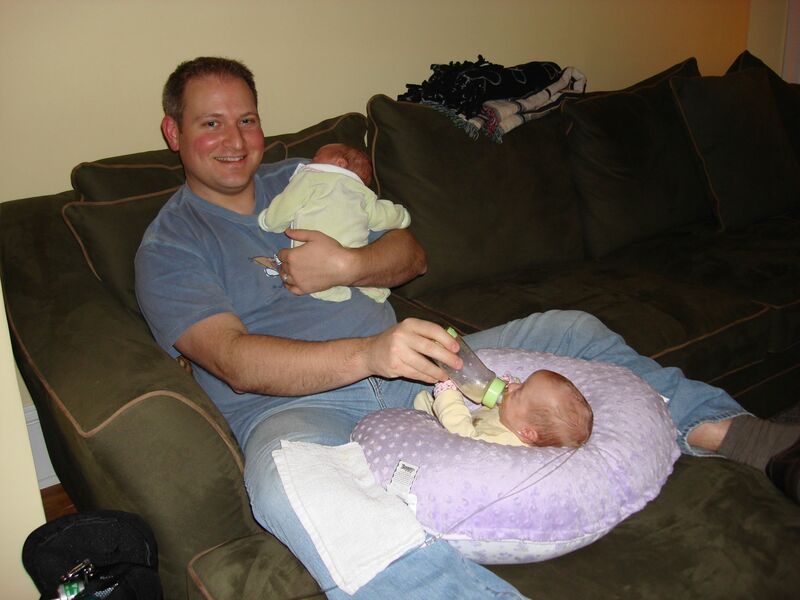 When I first became a dad, I had absolutely no clue what I was doing or what I was in for. In fact, there are some who would argue I'm not in a better place now after 7 1/2 years either but that's another story altogether and for another time. Having your first child (or children in my case) is as overwhelming as it is exciting. There is no rule or instruction book that comes with each baby. And while most of parenting comes from trial and error and is customized to each wonderfully unique baby, there are some things that I wish I had known back then that would have spared me some anxiety and growing pains. So I offer to you 46 morsels of expectant dad advice that hopefully will keep you just a little bit more sane than you may have been without it. I've often been critical of brands and their stereotypical portrayal of lazy dads who don't care about being a good parent. They too often send a message that the majority of us dads would rather not participate in raising our children because it's hard, because it's inconvenient, and because we can easily get our wives or someone else to do the hard stuff. As parents, it is our job to protect, educate, and provide the tools necessary for our children in order for them to thrive and develop their own ideas, desires, and opinions. We do what we can to not just give the answers they so desperately seek, but rather to provide them with a path to find out for themselves. Except when it comes to football. I have sat down for the past several months trying to write this letter to you both but have not been able to find the words. I wrote Open Letter to My Son with relative ease so I have been perplexed as to why I have had such a hard time writing to you. Are dads more involved today with taking care of their kids than they were say, 10 years ago? The latest survey by the National Center for Health Statistics says, YES!! While I do take some issue with the survey (mostly due to the fact the findings were self-reported and I know that we [guys] tend to exaggerate just about everything), but generally speaking, I couldn't agree more or be more pleased with the results. Whoa Nelly!! What is this???!!!! By now, we've all seen the #hotchristmasjammiesmom and family pseudo-twerking through the neighborhood in their from-undies, but after reading a bit more about them, I learned about daddy’s group vasectomy. One of the great things about life with kids is that we are always being challenged to be better parents and spouses. We are far from perfect and sometimes we succeed and sometimes we fail. And that's ok. The key to maintaining some semblance of sanity is to remember, and accept, that some days are better than others and that tomorrow is a new day. As a father of 3, including twin girls, nothing is as stressful as trying to style a girls hair when I self-admittedly have absolutely no clue what I'm doing. When my wife and I first got pregnant, we were never so excited about anything in our lives. From that initial holy bejeeezus moment when we first found out, parenthood has been nothing short of a thunderous freight train racing down the tracks of life just barely clinging to a semi-controlled rail of chaos. Getting off the train wasn’t an option, so we just held on as tightly as we could. But soon thereafter, we began to realize that we were embarking on just possibly the most challenging, beautiful, awe-inspiring, and precious journey of our lives. Everyone's introduction to parenthood is unique and I am certainly no different. When I first wrote about my story, 93 Days, it was because I needed an outlet for the overwhelming feelings I was experiencing. But the impetus for Tubalub, was because I very quickly, even before the birth of my twin girls, began to realize that I was being treated differently by just about everyone. The go-to guide for local parents, packed with events, tips, hot topics, contests, photos, and more.